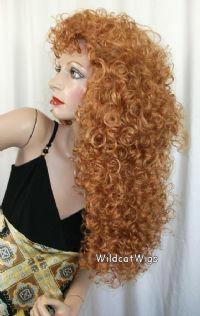 One of my personal favorite wigs! Very long soft curls. About 32 inches overall. Allow3weeks for delivery because this will need to be ordered in your color. Pictured is color 1B - Natural Black on the top picture and 27C - Light Ginger on the bottom picture. 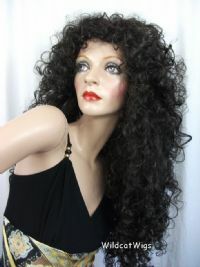 THIS IS A QUALITY WIG AND WILL BE PERFECT TO USE FOR GRIZABELLA THE GLAMOUR CAT FOR YOUR PRODUCTION OF THE MUSICAL CATS.